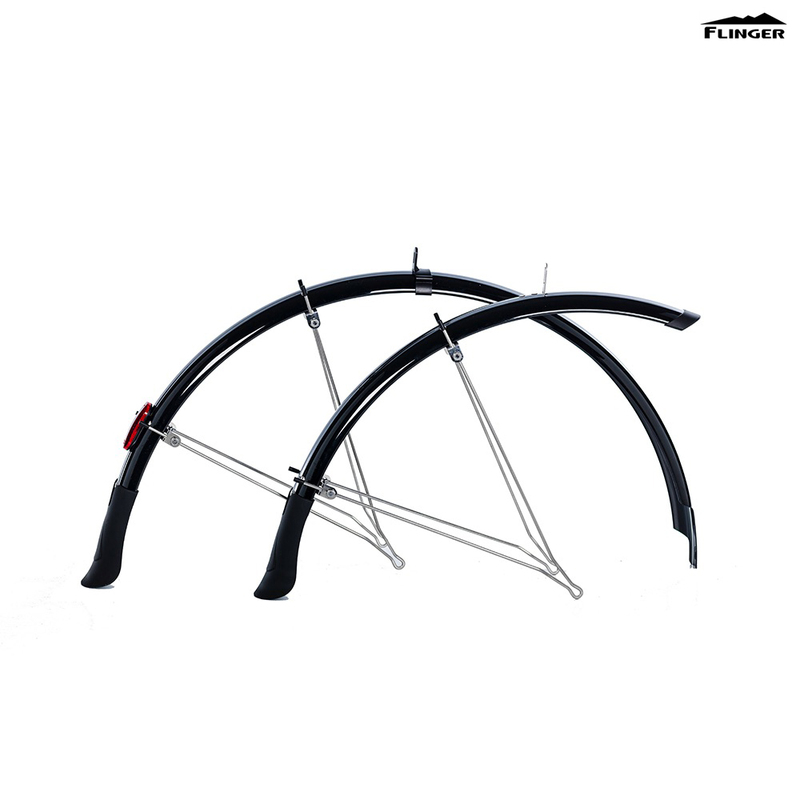 Manufacturing since 1989, Flinger Mudguards are specialists in production of high quality, lightweight, impact resistant mudguards for road or MTB use. Made from lightweight, flexible, impact resistant, polycarbonate with stainless steel v-stays and brackets. We increased the diameter of the stays to 4mm, this dramatically increases the overall stiffness of the guards. Flingers are the most rigid, stable guards on the market.